In last post, I have written about the series of article about my odyssey in creating the CBIR application in .NET. CBIR is part of Computer Vision. 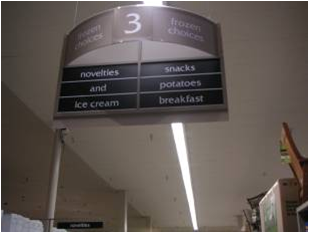 As I was researching in this area, I found Computer Vision has lots of application, rather than just detecting similar images. The libraries (EMGU CV and Accord Framework) which I introduce during series of post on CBIR, has lot to offer apart from similar image detection. There are salient articles on the Web if you google for capabilities of both, what I try here is just to give brief capabilities of both the framework, where you can get the idea and Google more for the application for it. In my last series of post, I describe about finding the similar images, but those similar images algorithm won’t work for the face detection. Face detection is separate area, which has it’s own set of algorithm, which are available in both Emgu CV and Accord Framework. 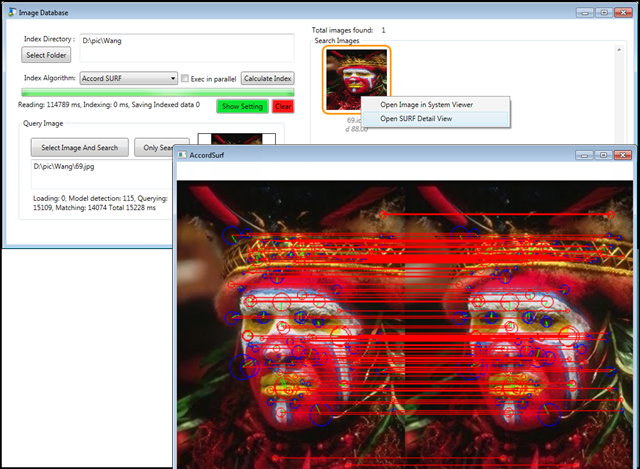 Emgu CV Face detection – There is excellent article on the CodeProject, which describe how to detect face using Emgu CV. 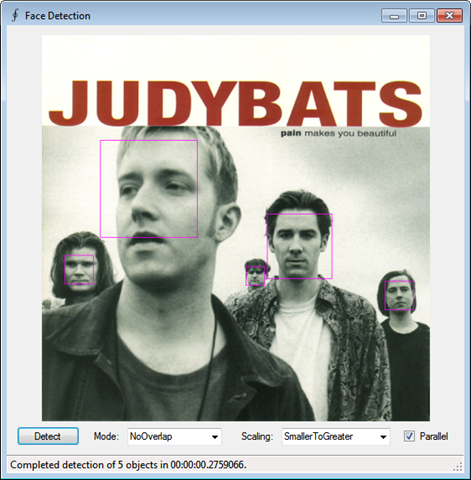 You can get the sample application of face detection at [Path where EMGU CV is installed]\Emgu.CV.Example\FaceDetection directory. 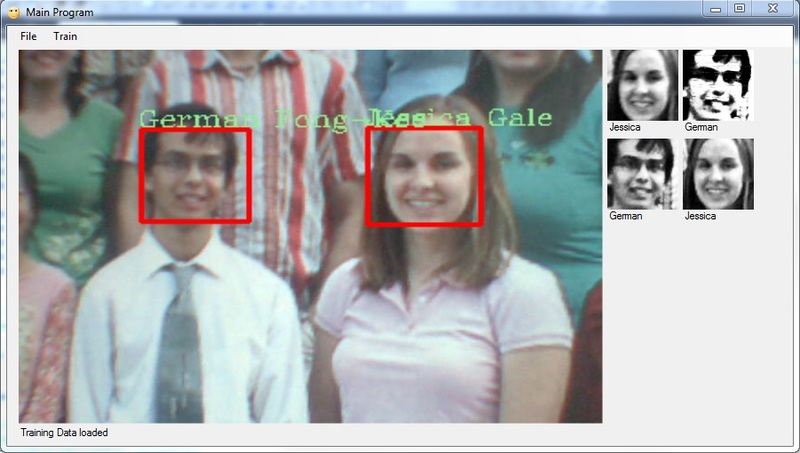 Accord Framework has two application for face detection and tracking. Face detection is for recognizing the face, while tracking is more for gesture control. This entry was posted in CBIR, dotNET and tagged .NET, C#, CBIR, dotNET on February 6, 2015 by sbrakl. In this article, I will walkthru the sample application, which I have created to demonstrate the working of CBIR. This is continuation of the series of article, so, if you are not able to catch with this post, read the previous ones to understand the context. Last article, you have probably read about the theory involve in finding the similar image. But, you won’t get it, till you see the working code. Same was my frustration, when I was doing the research for the CBIR stuff. I find tons of papers from various universities around the world. But, it was hard to find working demo, especially in .NET I googled for days, found blogs, article, but most of it doesn’t share implementation code. Most of the Computer Vision stuff happens in C++\Matlab\Phyton. Very few taker for .NET languages. I would be showing you demo on the Wang image dataset. You can download 1000 test images, which contain 10 sets of 100 images each. This will help you understand how reverse image search works, and how efficient the algorithm is, in getting the similar image. Note: This application which I have build is under GPLv3 license, but the libraries it (EMGU CV, Accord Framework, etc.) aren’t under same license. If you need to use it in commercial application, I request you to check the license of individual libraries used in this application, and use it appropriately. 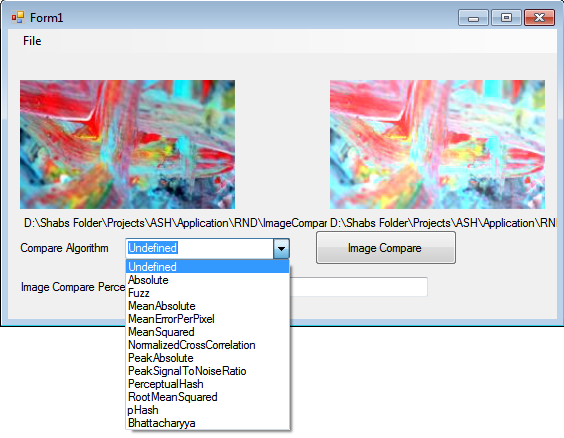 This utility is been developed in WPF, .NET framework 4.5 as the proof of concept for various image recognition algorithm. 1 – This Is the index section, before you query the image with your favorite algorithm, you need to index the image directory for that algorithm. Select the Image directory which contains all the image, and click ‘Calculate Index’. Note, Image directory must contain all images at the root of the folder, if the images are nested with sub-directories, it won’t take it for index. This process of index calculation need be done once for selected folder, against which you can query multiple times. With this utility, you can only search the images, which it has been index. It means, if the image is missed in indexing, if won’t be queried either. 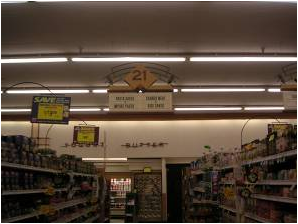 2 – This is query image section. Select the image and search. ‘Only Search’ is for comparison of same query image against multiple algorithms. Just change the algorithm from dropdown and click ‘Only Search’, if you need to query the same image for new selected algorithm. 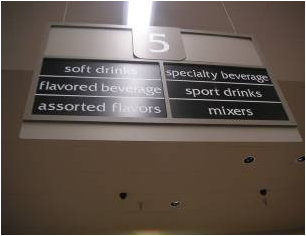 3- This is the result area, where visual similar images to one been queried would displayed here. Binary algorithms are good in finding de-duplication, but can’t help with similar images search. You can read more about this in Part2 of this series. 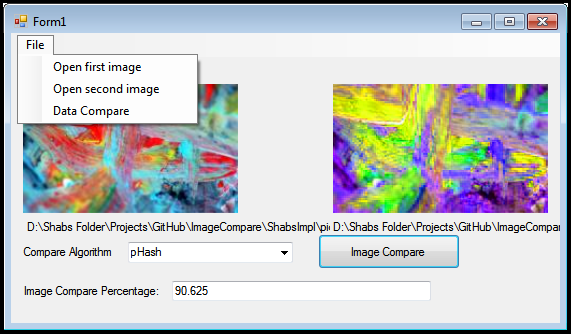 pHash has been implement using the SimilarImageDotNet library, which has been written by ‘Carlos Ballesteros Velasco’ . It compute the hash into string. Distance range between 0 and 1, where 0 mean complete different, and 1 mean complete identical. RBG uses the color histogram for compare. I have use the Eye.Open similar image finder library. It convert the image into histogram of RBG color (two dimension array). During compare, it calculate the mean square distance between two histogram (two dimension array) and gives the distance. 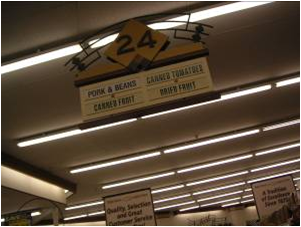 CEDD (Color and Edge Directivity Descriptor) descriptor consists of 144 bins (double array of 144 length), where first 24 bins represents the 24 shades of color used by the system, and rest 5 set of 24 bins represent the texture unit. This set classifies image in the texture area. You can download the code to calculate CEDD descriptor from Savvas site. During my experimentation, CEDD give much better results compare to binary algorithm, as you can see below. When you search for Bus, it brings all remain Bus images from the database. Notice the green button, ‘Show/Hide Setting’ appear, when you select CEDD. When, I was developing CEDD, I was hypothetical problem, say I have million images. 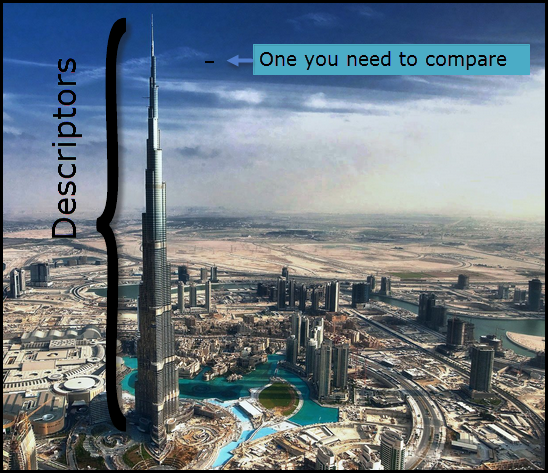 In linear approach, it needs to compare each and every million descriptors before getting the right ones. This would be slow. But, I have the hint from the RDMS indexes, that database do not compare each row in table, they built index around it. MS SQL Server built binary tree cluster/non-cluster index for particular column, hence query is blazing fast. Same concept, I had applied here. I have create CEDD BK-Tree index. Since, compare function of two descriptors is not simple as for string or integers, I need to get tanimoto distance. 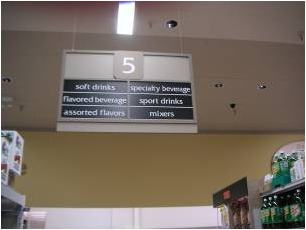 Idea is to arrange the descriptors in such a fashion, that similar one, once having lower distance value to each other are place near each other. When compare, I need to compare just fraction of total descriptor (10% of million in our case) to get the near about values. Search down the tree is n(log n) times faster, where n is total number of descriptors. Can’t understand a word of this paragraph, in short and plain English, search is blazing fast using BK-Tree index. Note: You need to index for each algorithm type, linear and bk-tree. Select Linear and click ‘Calculate Index’ will calculate linear CEDD index, and Select BK-Tree and click ‘Calculate Index’ will calculate BK-Tree index. I did mention about the SURF image descriptors in the Part 3 of these series. Here, I am using the Emgu CV implementation. Surf algorithm runs in two parts, first it detects keypoints and second, it calculate descriptors for those keypoints. Linear is comparing the descriptors of all the image in linear fashion. FLANN is library which I mention in Part 3 of this series. I am using the Emgu CV implementation of Flann Index. Here, it takes descriptors of all the images, create a super matrix for it, and index this matrix with FLANN algorithms (Randomize K-D tree forest). When you perform the knn search, it find the approximate neighbors descriptors in matter of milliseconds. You can play around with both the implementation to understand the performance impact. Note: SURF implementation of OpenCV is patented. Royalty needs to be purchase before using it commercial application. Emgu CV library is under dual license, if you developing for commercial project, even EMGU CV license needs to purchased. Here, I am using the Accord Framework version of SURF. Accord framework implementation is based on Open source implementation in the OpenSURF computer vision library by Christopher Evans (http://www.chrisevansdev.com). Used under the LGPL. Similar to EMGU CV Surf, In Accord SURF too, I had implemented two search algorithm. Linear search will compare each descriptors of all the images with query one to find similar image, while kd-tree, I am trying to built some kind of index these descriptors. I am using Accord-Framework kd-tree implementation. In my experience, k-d tree wasn’t good for this implementation. kd-tree knn search performs poor in higher dimensions (more than 10), and here, I am having surf descriptor of 64 dimensions. I need some algorithm similar to FLANN, which does the approximate nearest neighbor search but couldn’t find such implementation in .NET. If anybody, who is reading this blog finds one, do let me know in post comments. LoCATe is algorithm, where it is finding SURF for keypoint detection, and using CEDD for compute local descriptors. This algorithm was create by Savvas A. Chatzichristofis, same guy, you built CEDD. Its available on his website http://chatzichristofis.info/?page_id=1479. If you are creating Index for first time, you can create the Codebook by ticking Create CodeBook checkbox. Below textbox, will display the path where codebook would be created. 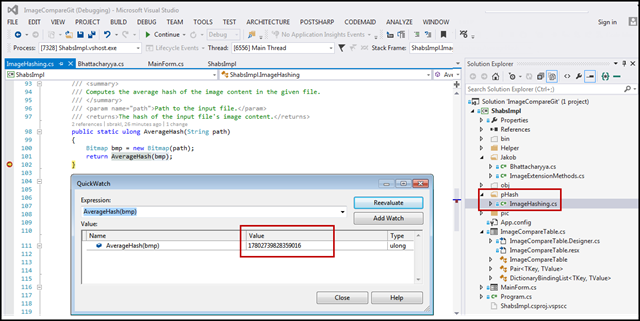 If you are creating Index for subsequence time, you can select the Codebook previously create as reference for Indexing. Vector quantization is perform, by calculating the k-mean clustering algorithm found in Accord framework. Here, there is numeric updown textbox for Codebook length. This length is taken for number of cluster, which needs to be calculate. Normal, I take binary series number like 64, 128, 256, 512, etc. Then, I start calculating the inverted index of visual bag of words for each image from these mean descriptor. If Apply LTC scheme checkbox is click, it will apply the query weighting scheme to both, inverted index of query image as well as all the images indexes. If ‘Extended’ query algo is selected, then it will perform further search of results return from bag of words search. It will run EmguCV SURF to find the exact or partial match, and weight the ranking base on the CEDD and LoCATe percentage score. If you are not able to catch up with this article, I strongly advise you to google for “bag of visual bag of words” algorithm, and try to understand the same. Point of interest here, inverted index of visual bag of words describes the image in histogram, what it is. In my experiment, LoCATe algorithm outperforms all the other algorithm mention above. It the best Algorithm, I could come up in my research. Extended give better result in term of partial match. Partial match is where query image in part of one of the actual image existing in the set of images for which search is perform. This entry was posted in CBIR, dotNET and tagged .NET, C#, CBIR, dotNET on February 5, 2015 by sbrakl. This is continuation of the series of article, so, if you are not able to catch with this post, read the previous ones to understand the context. Last article, we had discuss about the De-duplication of image, and how to get identical across thousand of images. But, when it some to similar images, those algorithm does work. 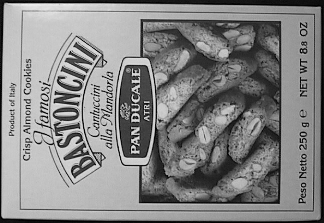 My quest for find some algorithm, which works for similar images with has different lighting condition, rotation, affine transformation, yet could identify the image. As, I was going through this rabbit hole, I found there are several research has been done in this area and tons of research paper has been publish. 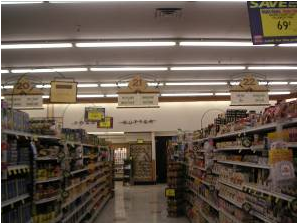 There are several open and close source CBIR already developed. Many are the outcome of the University research, while others are commercial. Google already has reverse image search, if you haven’t tried it, I recommend to do so. It fast, robust, and works really well in finding similar image. But, this won’t work for me, as it search entire web for images, and prerequisites was, that image set in which you are trying to find similar need to be crawl by google search bots. Mine was internal website (wasn’t expose to internet), and image set was sort of copyrighted. Next best commercial solution was tineye matchengine. It have sets of API, where I could submit my image, it would run it’s indexing algorithm on my set of images, then I can pass the query image, and it would return in set of similar images. As you can see above, paint of American Gothic, where farmer in different mask would be detect as similar. This is big deal in computer vision research. But, sigh, Tineye cost the bomb ($1000 for starter) and my project stakeholder required some free solution. I look to various open source CBIR, WindSurf is desktop base application in Java, LIRE is web implementation using lucene and solr in Java, FIRE (Flexible Image Retrieval on Image Parts) developed in C++ and phyton. But, none suit my needs, first I need something in .NET, second, it need to work on part image search. I mean, I give just the portion of image, and it should retrieve the complete image, if it able to match the part. It looks like, there isn’t good CBIR in .NET and I need to built one myself. Sigh! To built one CBIR, I need to know how to tell computer to identify images, next question stump be was how does human eye identify images? I did some research and found out, that human eye tries to find feature in the images, and try to identify same set of features in another image, to tell if the images are similar. 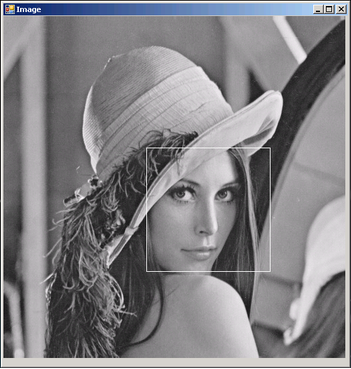 There is excellent tutorial on OpenCV, which takes more about the image feature detection. Now, my next problem was, how do I tell computer to detect feature in image. Images are going to be random, and i need some algorithm, which can detect significant feature in any image I throw to it, not just one type. e.g. In picture of a cat, it should detect cat eyes, nose, whisker, pointed ear. But, in some beach picture, it should detect people on beach, coconut trees, sea waves. You got the problem? Now, I was going down hot waters , research field of Computer Vision, Image Processing, mathematics, matching learning, artificial intelligence. In short, areas I was afraid of. But, its love affair, and I knew, its not going to be easy. 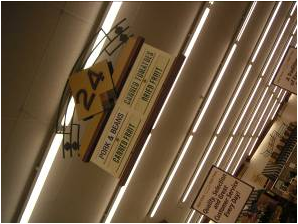 In computer vision, they call this problem as corner or interesting point detection. Their are several algorithm, like Harris corner detection, Susan corner detection, LoG, DoG, and DoH feature detection and several others. One that catch my attention was Harris corner detection and FREAK (Fast Retina Keypoint) detection. Cool, knowing algorithm name is one thing, and implementing is other. I was searching for .NET implementation of these corner detection algorithm, where I can to know about two beautiful open source libraries / framework. This libraries have set of functions which you need to for Computer Vision, Image Processing, Machine Learning, Artificial Neuron networking, etc. Now, I know, how to detect corner, I was stump with another problem, one I detect corners, from Image, how do I compare them. I mean, corners are just set of (x,y) points in space. Now, I need to detect this points in other image. You would say, just compare their x coordinate and y coordinate. Cool, but remember rotation and affine transformation in first post, it means one image points x,y no longer remain the same in other image. Phew, it gonna we tough than I though. Here, come another algorithm, know as correlation based matching. It use matrices, and whole lots of math to find the distance between points and matching points. Accord framework has the Correlation matching algorithm, which approximately find the matching points. 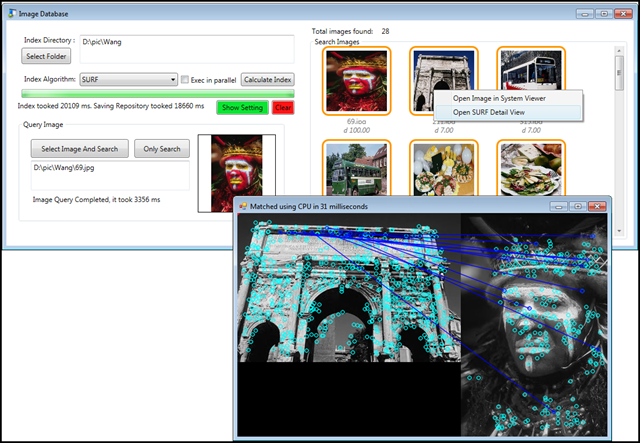 Figure: Top Left: Corners detect in Image A, Top Right: Corners detect in ImageB. Bottom Left: Correlation mapping of points in both image. Bottom Right: Remain after RANSAC estimation. Cools, now, I know, how to match points in one image with another. But, how do I find set of matching points with thousand of images in database. Stump again! Another idea struck, I need to say to describe the points detect in image. 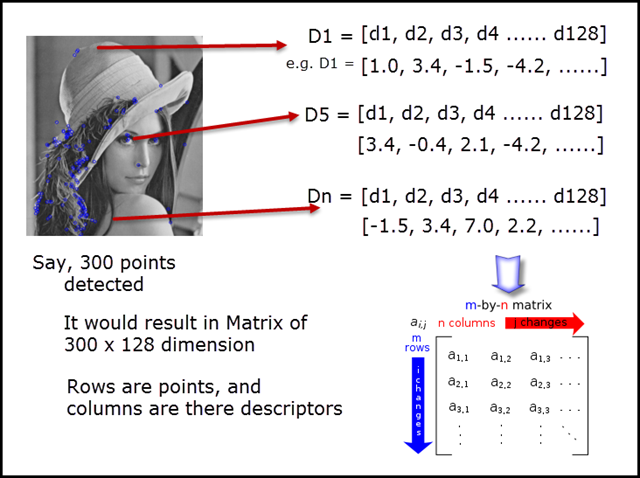 If the description of the point match with any of the description of points in thousand image, it means, it match. Wow! I am genius. But, wait, how do describe the points? Few googling, and found out computer vision scientist David Lowe, though about this problem long back in 2004. He came up with SIFT algorithm (Scale-invariant feature transform), which works on LoG, DoG, and DoH feature detection, detects the interesting keypoints (corner), and describe it with arrays of double of 128 bit length. Cool, but this there is problem. First, the SIFT detection of points and descriptors is not fast, I need some algorithm, which is fast enough to detect points and descriptors of thousand of images in matter of minutes. Lets, take problem, one by one. SIFT fast alternative? There is another algorithm, SURF (Speeded Up Robust Features), which is fast compare to SIFT and in default mode, computes descriptor of 64 bit length. But, there is another problem with SIFT and SURF, both are patented and can’t be use in commercial application without loyalty fee to patent holder. Life in never easy. Quest of open source algorithms continues. There are several other algorithm, which are patent free, and can be use in commercial application, like BRISK, FREAK and ORB. You can get their .NET implementation in EMGU CV library. Cool, now, I have way to reduce image in set of jagged array (read Matrix) and now, I can find a particular feature in other images, irrespective to lighting, slight rotation and affine transformation. But, second problem till remain, how to compare descriptors to sets of hundred millions even billion (descriptors of thousand of images) of descriptors. This can be tackle in two ways. Trees – Answer like in tree structure. There need to create the tree data structure which stores the descriptors in such fashion, that it can be fast matched when searched in tree. Something similar to binary tree, but here challenges are more. In order to compare two descriptors say [d1,d2,d3,…, d64] which is one row in matrix to another row is via [n1,n2,n3…..n64] is done via different distance metrics formula like Euclidian, Manhattan or Minkowski. You arrange the descriptors in such way that it compliment the distance with each and other in the tree. R-Tree, BK-Tree, Cover tree, MVP tree are possible solution.I had gone with k-d tree. You can kind the implementation of the k-d tree in the Accord Framework libraries. Once, you arrange the descriptors in the k-d tree, you perform the k-nearest neighbor to find the descriptor in skyscraper like matrix. In my personal experience, I found k-d tree do not perform well in higher dimension 64 and 128. Accord framework had the Approximate Nearest Neighbor implementation, but the result were Random. I found FLANN library, which there in Emgu CV as Flann Index, give better result. FLANN uses k-d forest to perform approximate nearest neighbor search. If all this stuff makes you dizzy, no problem. You can checkout my implementation on GitHub where you can play around the application to understand all the Jargons which I have thrown here. Till, problem lies with the volume of descriptors, in my trial, 1000 images, which cumulates to approx 40 MB in size had SURF descriptors 120 MB in size. Phew, three times more. What if, I had ten thousands of images, descriptors size would result in GBs. Maintaining such large dataset of descriptors is problem, even on Hard disk, plus loading into memory during search is big pain. 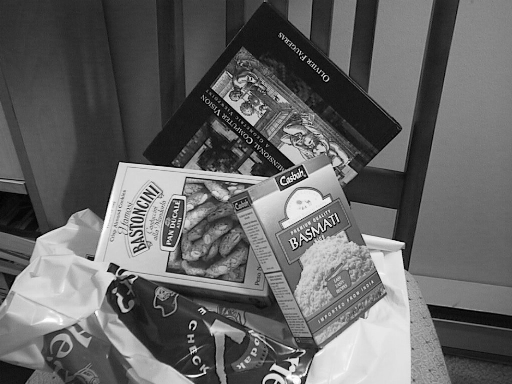 Bag of Visual Words – In Bag of Visual Words, you read sets of images, and calculate mean sets of feature out of it. Now, you get histogram of mean visual descriptors which appear number of times in image. It will get the array of fix length which describes the image. This is brief description of bag of words. If you don’t understand the bit, you can look for detail explanation on this blog, this one or google out for more post which describes the Bag of Visual Words. Now, we have reduce to statistical problem, and compare thousands, even millions images in database. Here, each image is just the representation of visual bag of words, and base on the query image, which again is converted into visual bag of words, and let the similar ones for it. You would be thinking, enough of gyan, where the implementation/code of all these? That’s my plan for next post. Stay tuned. 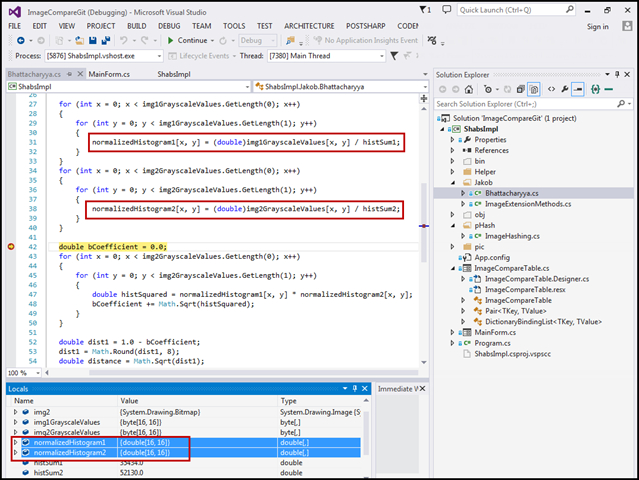 This entry was posted in CBIR, dotNET and tagged .NET, C#, CBIR, dotNET on January 30, 2015 by sbrakl. This is continuation of the first post, if you not getting the context, read this first post. In my last blog, I have describe the different solution angles for this, De-duplication and similar. Let’s start with de-duplication, Identical images with different names, different format, but same resolution, same scale, no rotation, no affine transformation, etc. How do you start, do what rest of the people do, google for the library in .NET, which already do this. .NET was the prefer choice of framework, C# was my first love. I was much interest in libraries written for .NET rather than c++, python or MATLAB. 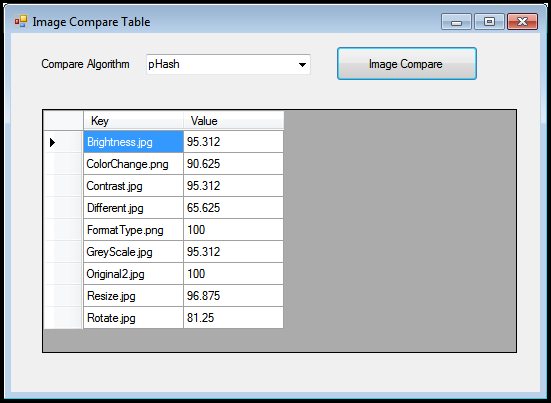 This methods compare pixel by pixel or compare the byte hash to determine the difference, can detect the exact duplicate. But, I wasn’t in for this approaches, as it has two problems. Another idea was to convert image into some kind of signature/fingerprint and compare the signatures with 10000’s of signatures to see if the image matches. This would be faster, as it just need to compute few bytes compare to full images. But, now, challenge was to identify slight difference in image by signature and classify them as same or different. I wasn’t the first guy to have this idea, and I found out after few googling, there is already an algorithm which does this. It known as “Perceptual hashing”. There is post on the hackerfactor, which describes the algorithm to phashing. Now, I need to find the same implementation in C#. I found, there is guy name, ‘David Oftedal’ who posted the C# implementation at image hash. Sigh, this link doesn’t work anymore. No problem, I have got the implementation code in my ImageCompare application on GitHub. You can get it from there. See here, at number nine, there is PerceptualHash algorithm, but I found, when compare with David Oftedal implementation, it doesn’t give good result. Further searching, I found the another article by ‘Jakob XnaFan Krarup’ on the code project. He compares the image with RGB histogram and get the difference using Bhattacharyya co-oefficient distance formula. You can read his article for more information about this methods. Jakob XnaFan Krarup implementation of perceptual hash at code project. 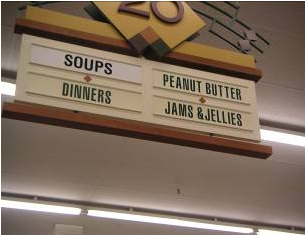 To compare, I have created sample images from flicker. This utility has Main form, as you can see in the below Image. 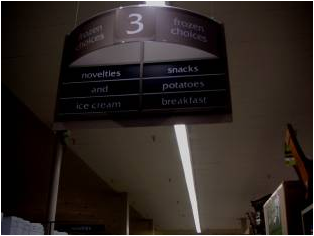 To use it, select the first image, second image and click Image Compare. You get the percentage difference in the textbox. If you need Grid view of all the percentage difference, open Data Compare form, select the algorithm, and get the percentage difference of all the images. You can download the code and play around to understand details of each compare algorithm. To compare all image to new image, just calculate the phash for new image and compare it all the phashes in table, that’s it. If the hash matches, it exactly the same image. Simple and Superfast method. If you need to get the similarity distance function, when you pass the hash, you get the difference in percentage, 100% mean identical, 0 mean completely different. You can store normalize histogram either in SQL table or NOSQL database and compare using bhattacharya coefficient distance formula to get the percentage difference. 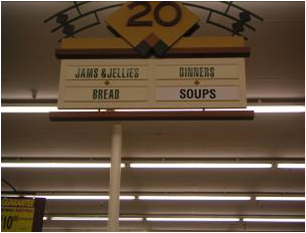 Using either of the two algorithm, I have address the problems state above. But still, if you need to detect similar images with invariance like different lighting, rotation, affine transformation, scale etc, these algorithm won’t suit. Even, for simple problem, like user upload the part image of the whole image present, these algorithms would consider it to be different image. For visual similar matching, you need some point to point matching algorithm like below. Hang on to my third post, which will unleash the power of point to point compare. This entry was posted in CBIR, dotNET and tagged .NET, C#, CBIR, dotNET on January 29, 2015 by sbrakl. Recently, I was architecting for the project for one of the American client, and they had the one simple requirement, “Ability to detect duplicate images from set of image files during upload”. De-duplication: Identical images, multiple copies of the same photo in with different names, different format. This is simple and everybody understands this. Similar Image: This is important one, and this defines the game, what do you call similar? Is same color similar for you? Is same shape similar for you? Is same texture similar for you? Or is mix bag of all. For my love affair, it’s invariance which was shown above, which are visually appears to be same, but different exposure plus slight difference in rotation, angle and scale. In the next post, we will see how we will address each of it.